This is the service that can help you with doing an extensive research. If you need score high on your term paper, this is the right place to go. The writers are PhD. certified and can guarantee the highest quality no matter what the topic may be. There is no information on the history of the company so we can’t track its previous failures and wins. If you use it and would like to share your experience with us, please do so. You can also get a Turnitin report here. When you are looking for a trustworthy service online, you want to know how long has it been functioning and if it’s successful. If we forget about the subjective aspects of these questions and look only at the numbers, Globalassignmenthelp.com.au seems to be a reliable company with over 35 000 completed assignments and the satisfaction rate of 4.8 on a 5-scale basis. You will not be astonished by the list of services the company provides as it includes all of the common and well-known points. Apart from the standard set of assignments like essay writing and dissertations, you can ask for editing and proofreading services. The guarantees will not surprise you as well. You get the regular list of confidentiality security, plagiarism-free content, and on-time delivery. The prices are average here. For a simple essay of two pages and a deadline of 10 days, you will have to pay AU$20.72 per page. This is the price for the lowest quality level of the possible three there are – First Class Standard, 2:1 Standard, and 2;2 Standard. 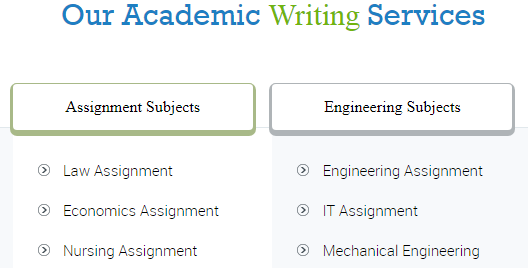 The free features you will get include grammar report, compliance report, and plagiarism report. There are occasional discounts inspired by public holidays. You may get up to 30% off as it was in the case of Cyber week orders. If you refer a friend, you can get a nice bonus of $25. There is a whole section dedicated to the reviews of Globalassignmenthelp.com.au. You can watch a video and read the testimonials of their previous clients. The overall impression is that you can rely on this company. Suspiciously enough, there are no negative comments. It is hard to believe there was no one to dislike at least something about the service. But maybe the company is just doing a great job. Use live support to solve the urgent problems or contact the service via phone. For the less urgent ones, you can use email contact details. The company provides a number of samples for you to skim through and get the idea of the quality of writing. The website is user-friendly and it is easy to find the information you are looking for. There is a convenient option to access the service through an app. It is available for iOS and Android. While we were visiting the website, there was an offer for a 5% discount if you use this app to place an order. It might be still relevant. It is easy to download to always have a backup plan in case of an emergency.